These colourful utensils are made from recycled plastic milk jugs and are safe and fun for little ones learning to feed themselves. 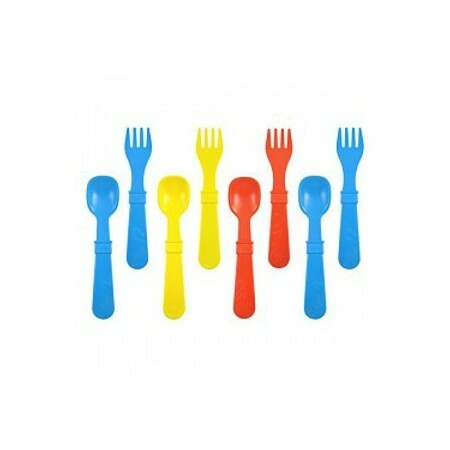 Pack of 8 utensils includes 4 sporks, 4 spoons. These colourful utensils are made from recycled plastic milk jugs and are safe and fun for little ones learning to feed themselves. 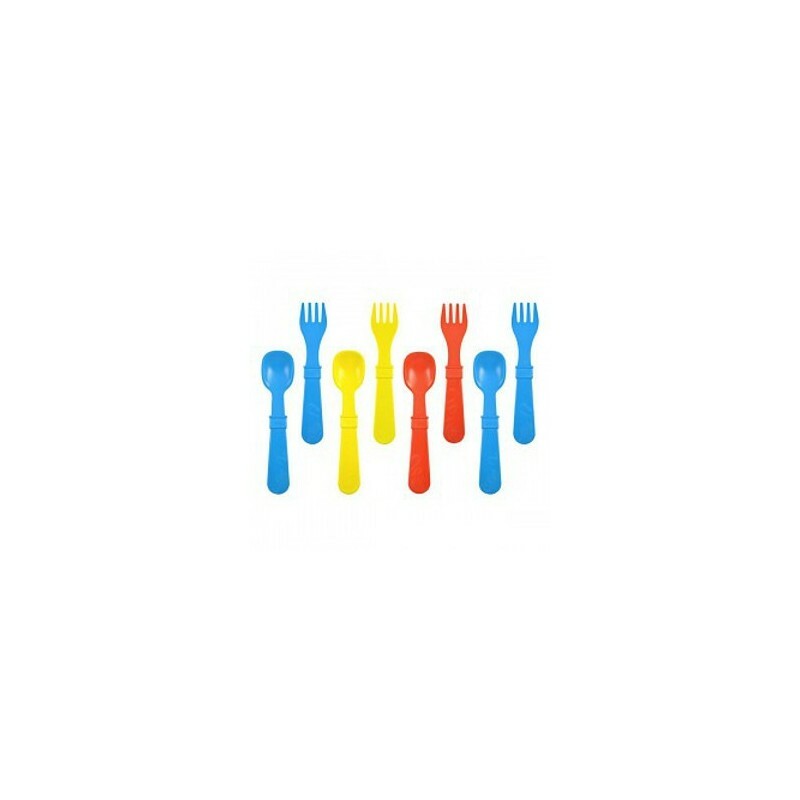 Make meal times fun with these bright utensils with a deep scoop and rounded tips for children aged 9+ months. Round tips and deep spoon scoop help toddlers learning to use utensils.